As many Americans prepare for the October 1st open enrollment in the Health Insurance Marketplace, options for health care coverage will become increasingly available. Those who do not currently have coverage, have been denied coverage or would like to have more choices are going to be given a new opportunity in terms of health care coverage. These options are not the same for all living in America. Legislation in many states is continuously introduced which restricts non-American citizens from accessing healthcare. Federal law creates numerous bans on federal health programs for immigrants. As the possibilities of the Affordable Care Act are constantly targeted by state policymakers, the potential to expand access to these women is being attacked. As all women living in poverty are marginalized in this health care system, female immigrants are often afflicted by this injustice on three levels: poverty, immigrant status and gender. If an immigrant lives in the United States for five years or less, they are denied access to Medicaid for basic public health services, including prenatal care. According to the National Latina Institute for Reproductive Health, “Under the immigration bill that just passed the Senate, many families would be forced to wait 15 years or longer before seeing a doctor.” For many, emergency services are the only option and often a last resort. The politics which seek to deny coverage to these women and influence reproductive decisions will have a long-term effect on the health of communities throughout the country. As women’s health is put at risk, so is the health of families and children. A lack of prenatal care leads to an increased risk of low birth weight, infant mortality and many other health concerns for the mother and child. As these children are often not allowed a healthy start in life, this will continue to affect this population and the communities in which they live for generations. According to the Article 25 of the United Nations Universal Declaration of Human Rights, “Everyone has the right to a standard of living adequate for the health and well-being of himself and of his family, including food, clothing, housing and medical care and necessary social services… Motherhood and childhood are entitled to special care and assistance. All children, whether born in or out of wedlock, shall enjoy the same social protection.” We do not see this play out in many parts of the world due to a lack of political will and economic instability. 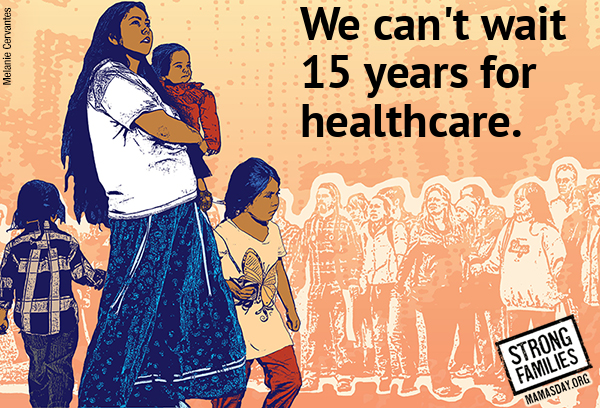 Immigrant women deserve this human right in terms of basic protections and benefits that include health care coverage. Without access to basic public health care, everything becomes more difficult for these women. Equality cannot exist without equal opportunity. UniteWomen.org, along with many others, sponsors the 4th annual Latina Week of Action for Reproductive Justice. Please show support by signing the Petition to pass immigration reform that includes health care for immigrant women and families. For more information about the Week of Action visit The Latina Institute. Jemina has a BA in Global Studies and is currently finishing her Masters degree in Public Health along with a graduate certificate in Conflict and Dispute Resolution focusing on restorative justice at Missouri State University. She has volunteered with UniteWomen.org on many task forces, State Director of Missouri and most recently as Regional Director and Director of Women’s Health.